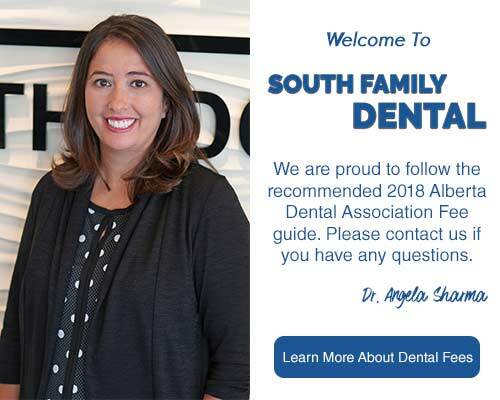 At South Family Dental Care we recommend that anyone who participates in athletic activities should protect their smile with high quality, proper fitting sports mouthguard. A properly fitted sports mouthguard absorbs the shock of impacts. The mouthguard also protects teeth against potential chips, cracks, fractures, knock-out, and damage. A properly fitted sports mouthguard is an important equipment investment, especially when considering the cost of the potential dental work required to repair damaged teeth. South Calgary Sports Mouthguards are dental appliances that fit over your teeth while you’re engaged in your sporting activity. If you are then struck in the mouth or jaw, the sports mouthguard helps to redistribute the force of that impact. A mouthguard also provides a barrier between your teeth and the soft tissue in and around your mouth. Many studies have shown that mouthguards help prevent chipped or broken teeth and protect against cuts to lips, gums, and other soft tissue in the mouth area. South Calgary Sports Mouthguards vary regarding cost, comfort, and effectiveness. An ideal mouth guard is durable, resilient, and comfortable. It should fit properly, be easy to clean, and should not affect your ability to breathe. To learn more about your South Calgary Sports Mouthguards, we welcome you to book a consultation appointment today! 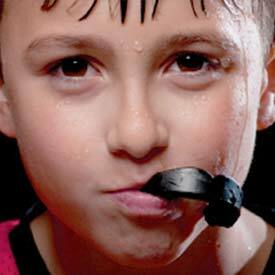 Call us at (403) 262-3235 to book your Sports Mouthguards Consultation with us today!